LOS ANGELES -- Capital murder charges were formally filed Tuesday against a 33-year-old man accused of stabbing his three sons to death in South Los Angeles, the Los Angeles County District Attorney's Office said. Luiz Fuentes faces three murder counts with the special circumstance allegation of multiple murders and a knife-use allegation. Luigi, Alex and Juan Fuentes were found stabbed to death in a car near Dolores Huerta Elementary School on Sept. 9. According to LAPD Chief Charlie Beck, the boys were found in the back seat of an SUV. Their father was bleeding from stab wounds in the front seat and taken to Los Angeles County + USC Medical Center in critical condition. Beck said investigators believe the father of the three young boys is the only suspect in their killings. The suspect is being held without bail. If convicted as charged, Fuentes faces the death penalty. He's scheduled to be arraigned on Wednesday. 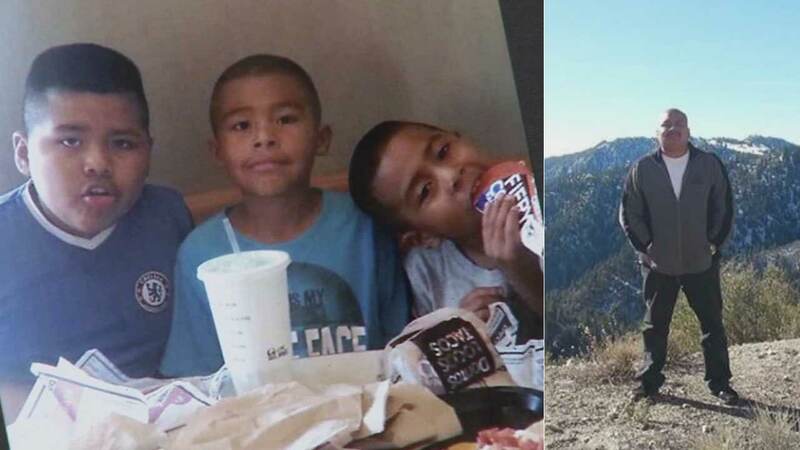 The family of the three boys has set up a GoFundMe account to help pay for funeral expenses. You can donate here: www.gofundme.com/yk3tdup4.